helps you keep your books so you don't get lost. 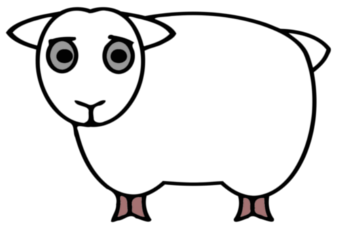 Bo-Keep is free software: you can redistribute it and/or modify it under the terms of the GNU General Public License as published by the Free Software Foundation, either version 3 of the License, or (at your option) any later version. 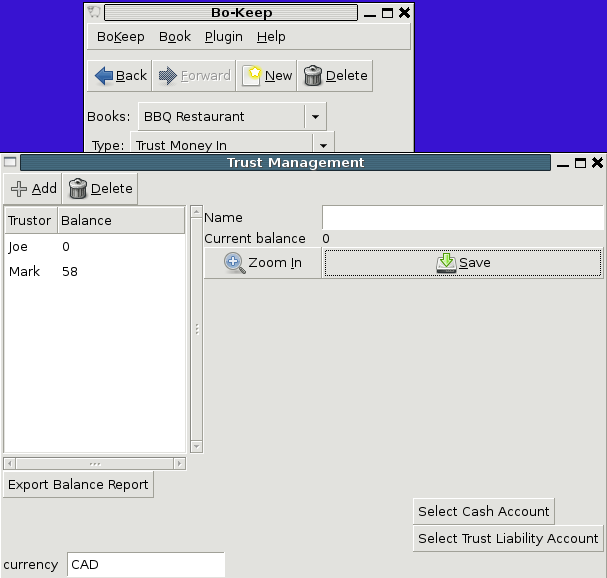 Bo-Keep is written in python and has been developed and tested on GNU/Linux systems. Reasonable attempts have been made at portability, so it will probably work in other places where the dependencies are available with minimal effort. Bo-Keep depends on and requires PyGTK with Glade support for its user-interface and ZODB for its data storage. 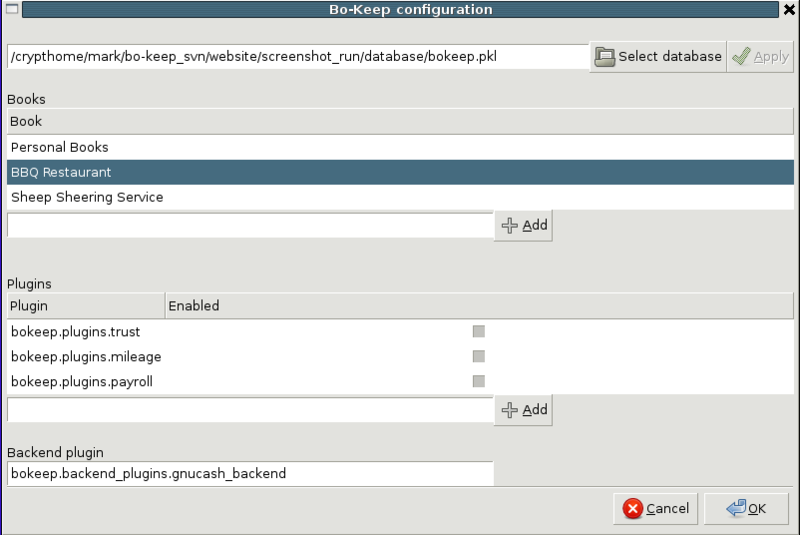 Particular custom interfaces are provided by Bo-Keep plugins. 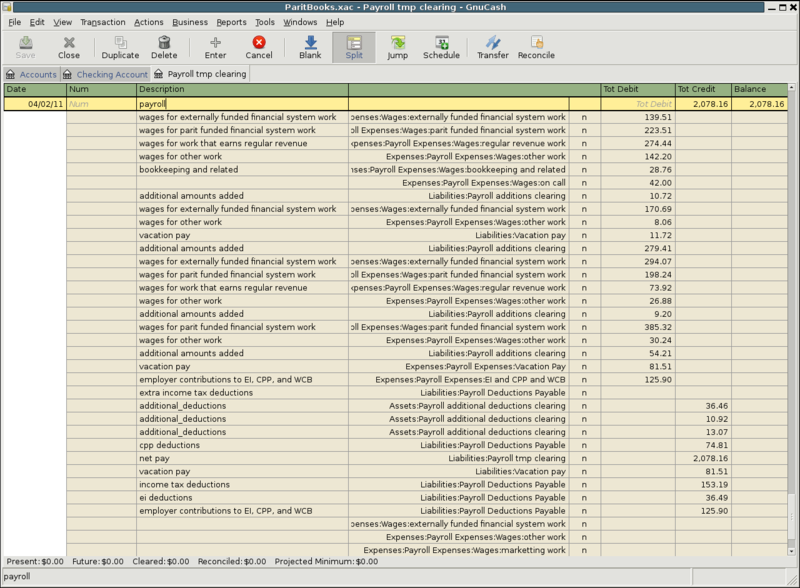 Support for working with different accounting programs is provided by backend plugins. You can learn more about developing Bo-Keep plugins by reading Plugin API README. You can also create your first plugin by following the Mileage Tutorial. 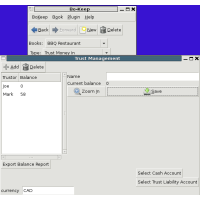 Bo-Keep is most useful with a backend plugin to connect it to a real accounting program, currently only a GnuCash backend plugin exists, so installation of GnuCash is recommended as well. 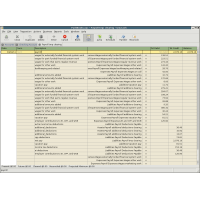 You'll need GnuCash 2.4.0 or later with python bindings enabled. We welcome contributions. Please read COPYRIGHT_AND_CONTRIBUTIONS. This project is hosted on GNU Savannah. We welcome participation on our Bo-Keep development mailing list, and our Mercurial repository is open for reading.